Boasting a pastel-haired innocence, a danceable sound and a hint of underlying angst, unconventional singer-songwriter seems to transcend classification. Her tracks are filled with reggae-inspired beats, punky rock riffs and a candy-sweet pop sensibility co-existing in a wholly enigmatic manner. 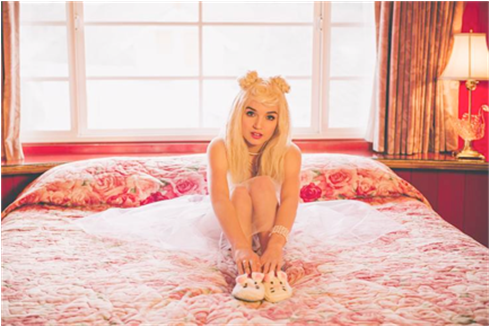 After receiving thousands of views/followers on YouTube for her quirky and crafty videos of her covering songs (Mac Demarco “My Kind of Woman” cover here) and showcasing her eccentric sense of humor (video of her repeating her name for 10 minutes here), That Poppy releases her self-proclaimed theme song, Everybody Wants To Be Poppy. Check out the new single below, get your copy on iTunes and let us know your thoughts NOW..!